When I read about the brioche variations, there was little doubt which one I would choose. 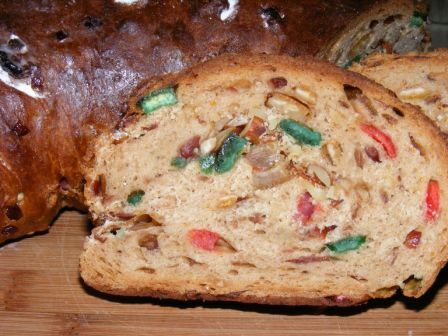 The “Rich Man’s Brioche”, in addition to its name, has the draw of containing a full pound of butter, almost 90% in terms of baker’s percentages. 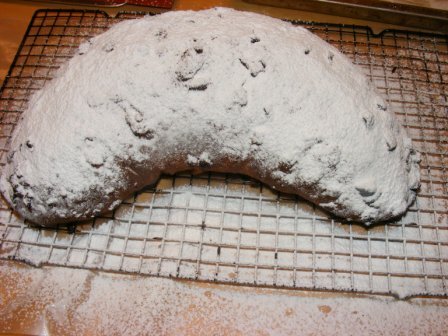 But if I was going to make such a decadent loaf of bread, I had to do it right. This meant ordering brioche molds. As I looked at the BBA pictures, I realized I already owned a few molds, although when I bought them I had no idea what they were. I picked them up at a cooking store because I thought they were the perfect size for measuring dry ingredients like yeast and salt on my scale. I have two sizes of molds, very small and sort of medium-smallish. I knew these would not be enough for baking the brioche, so I found some online to order. 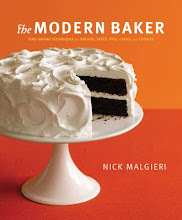 I ordered a set of four 2 1/2-inch molds, which I think are probably about the same size as my medium-smallish ones; and a 6 1/2-inch mold, to make a loaf (kind of like the one pictured in BBA). My molds are on the way, but I got to the weekend and decided I had to bake. 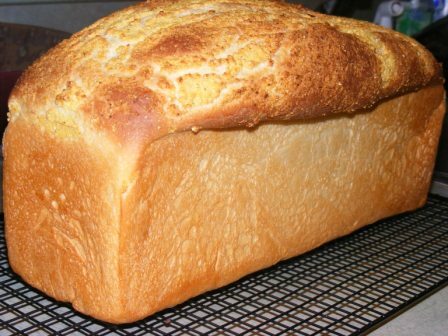 I was reading the brioche recipes again and noted that PR describes the Poor Man’s Brioche as making a good pain de mie. Since I like to bake our sandwich bread, hadn’t used my Pullman pan in a few weeks, and figured it would make killer bread pudding, I decided to go ahead and make the Poor Man’s version this weekend and the Rich Man’s when my pans arrive. In making the two versions, I was interested in comparing a few things. First and foremost, the taste. I wanted to know just how much that extra 3/4 pound of butter would do for the flavor. And second, I was interested to see the difference in how the doughs handle, as the recipe indicates that the Rich dough can be challenging to handle, while the Poor version is more like French bread dough. I mixed the Poor Man’s Brioche dough following the BBA recipe, with the exception of the milk. My milk was bad, so I used water for the milk in the sponge and added powdered milk with the dry ingredients. The dough was beautiful. The eggs gave it a rich, golden color, even before adding the butter. It needed a bit of extra flour during the kneading stage (I kneaded on low speed in my Kitchen Aid Artisan mixer), and the dough was silky and smooth by the end of the kneading period, and much more like the bread dough I am used to than the Rich Man’s dough would turn out (more on that below). It rose beautifully and right on schedule. I used three of my brioche molds and the Pullman pan. I could tell right away that the dough would not fill the Pullman when it rose and baked, but I decided to use it anyway. After proofing, I baked the brioche molds at 400 dF for about 15 minutes. They looked and smelled fantastic. Two of them even lived to cool. 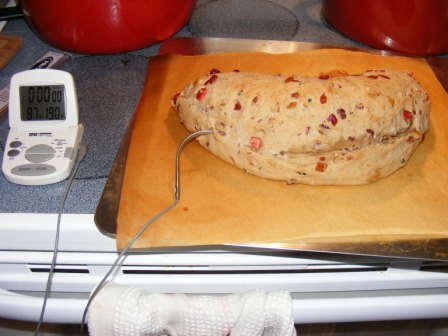 Then I baked the loaf at 350 dF for about 40 minutes, until it registered 190 dF on my instant-read thermometer. Since I knew it wouldn’t fill the pan, I left the lid off. The loaves were beautiful. I especially liked the shiny top crust that the egg wash gave them. 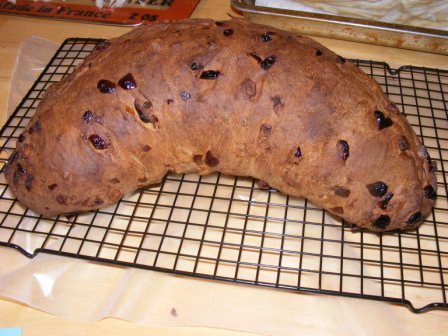 As for the flavor, the small loaves were a bit dry; perhaps they should have come out of the oven sooner. The pain de mie loaf was delicious. Tasting it, I could see how some people described it as “tasting a sweet, buttery cloud”. But alas, it did not live to be sandwich bread, as on the first taste, it screamed out to be made into French toast and bread pudding. So I cut some thick slices for bread pudding (see the N’awlins Bread Pudding post) and some thinner slices, which I used to make some of the best French toast ever. I enjoyed this bread more as French toast and bread pudding than just by the slice. I might make it again for bread pudding, and I am interested in trying it with brie en croute. 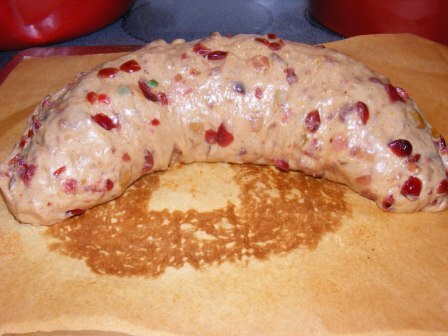 But I wouldn’t make it with the intention of using as a sandwich loaf. My standard pain de mie recipes (white and whole grain) are much better suited for that. 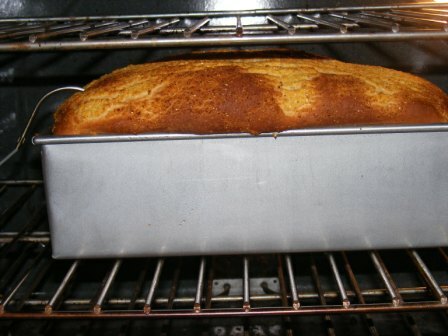 My brioche molds arrived mid-week, so I started the Rich Man’s Brioche dough on Friday evening. We were planning to go away for most of Saturday, but I gathered from the recipe that when it comes to chilling this dough, longer is better. A few things really stand out about this recipe. 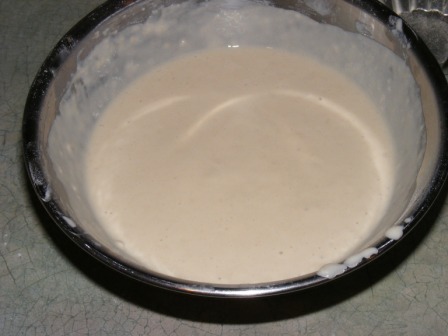 First, it calls for a lot of yeast (1 tablespoon instant). And of course it calls for a perverse amount of butter (one full pound). 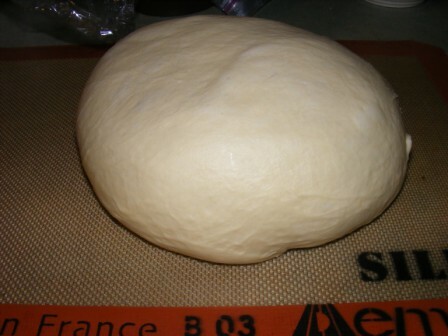 I was also surprised to realize that the dough is not kneaded. 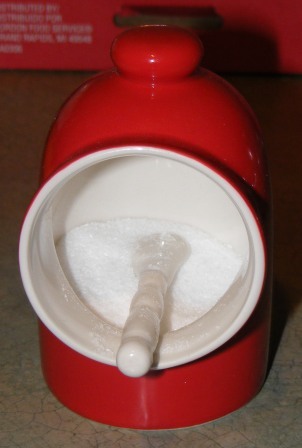 Instead, it is mixed, either with the paddle attachment on your mixer (as I did it) or with a spoon. Finally, I got the impression that this would not be your standard French bread-type dough, but would be much more slack. I mixed the sponge according to the BBA recipe, then added the eggs (all 5 of them!) and mixed well. 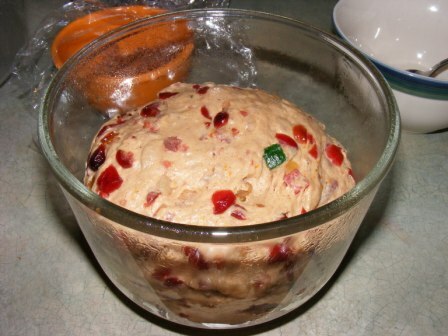 I mixed in the dry ingredients (still using the paddle attachment), then allowed the dough to rest for 5 minutes. I scraped down the dough, then added one stick of butter and mixed for a minute or so on speed 4. I repeated the scraping, adding butter, and mixing for each stick of butter. Then I scraped the bowl and mixed with the paddle attachment on speed 4 for about 6 minutes, stopping to scrape down the dough two or three times. The dough was very soft and somewhat gooey. A note on ingredients. The butter and eggs should be at room temperature. I always set them out the night before I plan to bake to make sure they are really room temp. There is nothing worse than waiting for ingredients to warm up when you want to bake! When I was finished mixing, it was the strangest dough. It’s difficult to describe the consistency of this dough, but I would say it was almost what you might expect to get if you mixed cake batter and sugar cookie dough. It was very close to the consistency of my 100% hydration sourdough starter. The directions said to put the dough on a baking sheet, but I decided it might keep its shape better in an 8×8 baking pan, so that’s what I used. 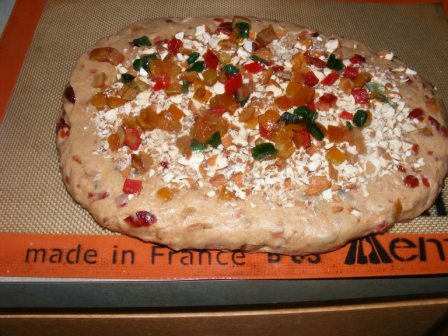 I sprayed the parchment with spray oil before adding the dough, and sprayed the top of the dough and my plastic wrap as well. 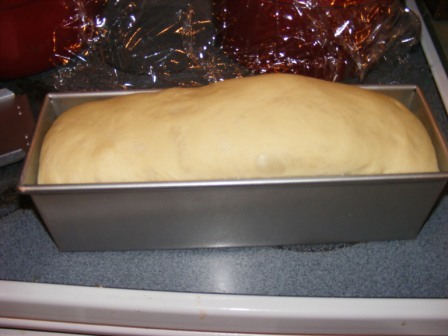 Then I put the dough in the fridge for a nice, long cool down. I didn’t get around to baking on Saturday, so I pulled the dough out Sunday morning. It really rose in the refrigertor. I would say it almost doubled in size. PR says to keep the dough very cold, so I cut off a chunk and put the rest back in the fridge. If I thought the consistency of the dough was strange before, this really took the cake (or should I say, butter?). The book warned that this was not an easy dough to work with, and indeed it was strange — slippery, but quite mailable. It felt like shaping cold butter. I worked quickly, so as not to let the dough get too warm. From the first chunk I measured 2.5 oz pieces, which I shaped into brioche a tetes for my small molds. Then I got the dough back out and measured out a one pound chunk for my large mold. 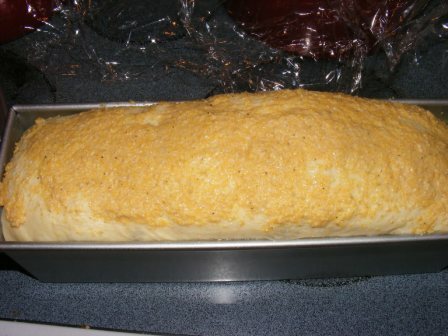 The rest (about 14.5 oz) I put in a standard loaf pan. I let the dough proof for about two hours, then I brushed the small brioches with egg wash and preheated the oven to 400 dF. The small loaves took about 20 minutes to bake, and I prepared the larger loaves while the smaller ones were in the oven. 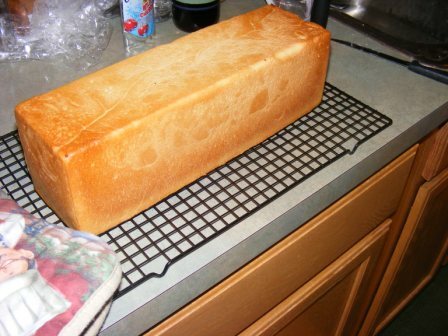 When the small loaves were done baking, I reduced the oven to 350 dF for the large loaves, which I baked for 35 minutes. See below for the pictures of the final product. I really liked this bread. It was rich (bien sur! 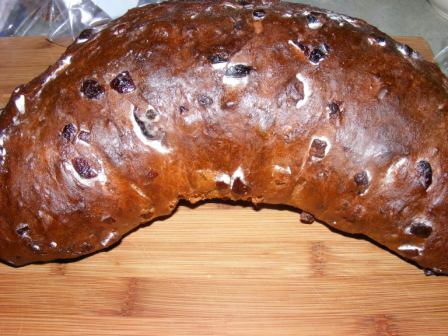 ), with a dense, moist crumb. It didn’t need any butter and was delicious with orange marmalade. Will I make it again? Read on…. I hadn’t planned on making all three “classes” of brioche; but so many people were posting about how much they liked the middle-class version that I decided to give it a try. I mixed up the dough while the Rich Man’s Brioche was proofing. It was really similar in consistency to the Rich version, but not quite as gooey. The Middle Class dough was still quite soft, but it felt a bit more like traditional bread dough than the Rich Man’s dough. 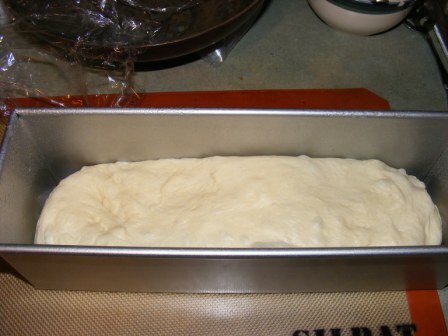 I used the same 8×8 pan to bulk ferment the dough. It didn’t rise quite as much as the Rich Man’s Brioche, but I don’t know if that was a difference in the dough or because it only bulk fermented for about 5 hours. It definitely rose, though, and looked like it was ready to go. I measured and shaped the dough exactly the same as the Rich version and let the dough proof for about the same amount of time. 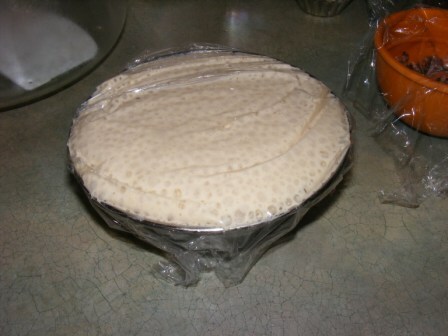 Here is the dough before and after proofing. Here are the Rich Man’s loaves (on the left), along with the Middle-Class loaves. They both came out beautifully, but the Middle-Class loaves won out on oven spring. The crumb looked almost exactly the same (Rich is on the left). So, how about the taste? The Middle-Class Brioche was absolutely delicious! 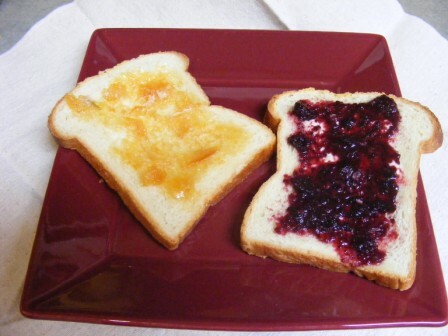 Again, I tried it plain and with marmalade and loved it both ways. And imagine my surprise when I did a side-by-side comparison of the Rich and Middle-Class breads: I actually preferred the Middle-Class version! I thought it tasted richer and more buttery than the Rich Man’s version. In the end, I was glad to have tried all three versions. And I will definitely make the Middle-Class version again (and again, and again). The Rich bread was really delicious; but for the extra butter and the difficulty working the dough, I think I’ll stick with the Middle Class. And the Poor Man’s version? I’d like to try that again to use for brie en croute, as PR recommends. And I’d bake it just to make bread pudding and French toast with it any day.